Trade union FNV is taking meal delivery service Deliveroo to court for paying its delivery staff as if they are self employed while in fact they work for the British company, according to broadcaster NOS. 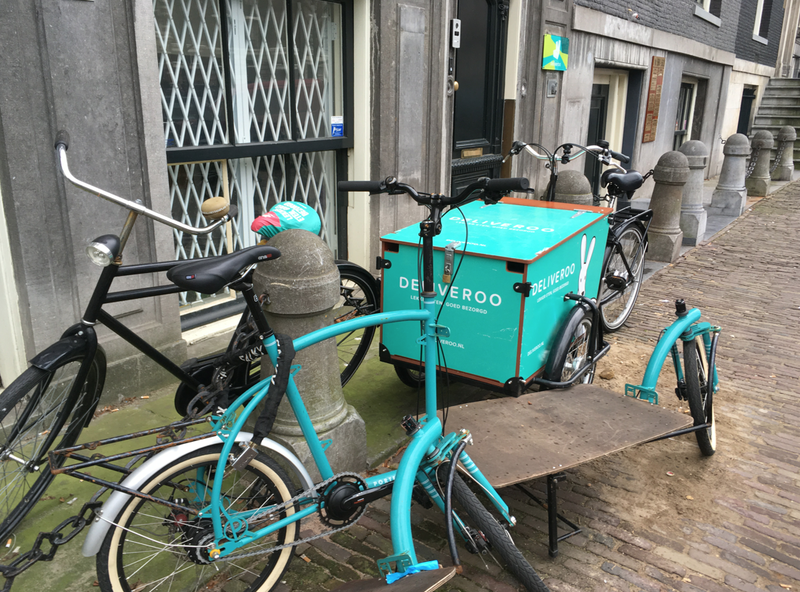 Delivery workers earn too little as self employed riders and Deliveroo is using a fake self-employment set-up to get round giving them proper jobs, FNV spokesman Willem Dijkhuizen told NOS. Riders are now paid per delivery rather than per hour and now earn, on average, more than €13.50 an hour, the company said in a letter to delivery workers. But the Riders Union, set up by disgruntled couriers, says that because delivery staff now have to pay for insurance, they actually earn less. In addition, because they only get paid per delivery, they have an uncertain income. This is not the only court case facing Deliveroo. Student Sytze Ferwerda, who is being backed by the Labour party, has raised enough money via crowdfunding to pay for a lawyer to challenge the Deliveroo’s new contracts. ‘I am a student, I’m not a little company,’ Ferwerda told RTL last year. In London, judges on Friday overruled a ruling that riders should be treated as self-employed, the Daily Mail reported. An independent workers union went to the high court to overturn an earlier ruling which confirmed the ‘self-employed’ status of those working for the delivery firm. A full appeal hearing will now take place later this year.